Research shows that fathers’ impact on children, like mothers’, is highly significant and lasts a lifetime. Not having a supportive relationship with one’s biological father (resident or non-resident) is a major risk factor for youth drug and alcohol abuse, mental health challenges, educational failure, anti-social behaviour and difficult transitions into adult relationships. • Help you think about how to create organisations which respond flexibly to the needs of fathers. • The personal and cultural issues which shape our perceptions of men and our beliefs about gender roles. Prices start at £1550. Find out more from our National Practice Development Manager, Jeszemma Garratt on tel 0791 786 4130 or email j.garratt@fatherhoodinstitute.org. The Fatherhood Institute offers a comprehensive range of services to support all children and families service providers. Our courses are delivered by experienced Fatherhood Institute trainers and include a mixture of taught sessions, workshop exercises in small groups and large group discussions. 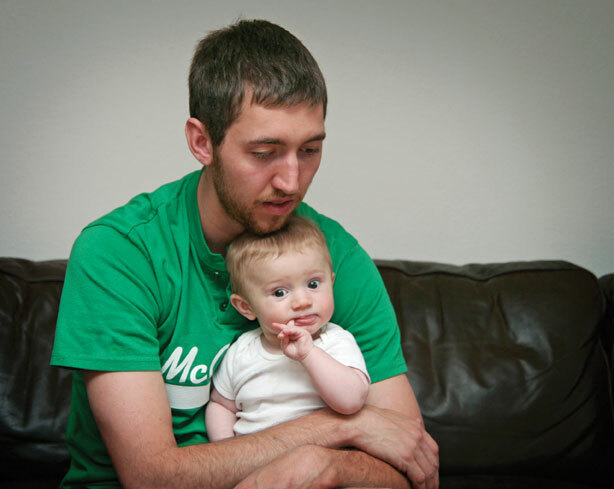 All our courses show you how to develop and implement a whole-team approach to engaging with fathers. The courses we offer are aimed at service managers and frontline workers from a variety of settings, including Children’s Centres, maternity services, child protection, schools and family learning services, Job Centre Plus, child and adolescent mental health services, teenage pregnancy services and youth offending teams. We offer off the shelf courses, or can work with you to develop a bespoke course focused on your specific needs. The Fatherhood Institute’s consultancy services can help you transform your services and strategies: we can also develop audit solutions for your local authority or primary care trust.